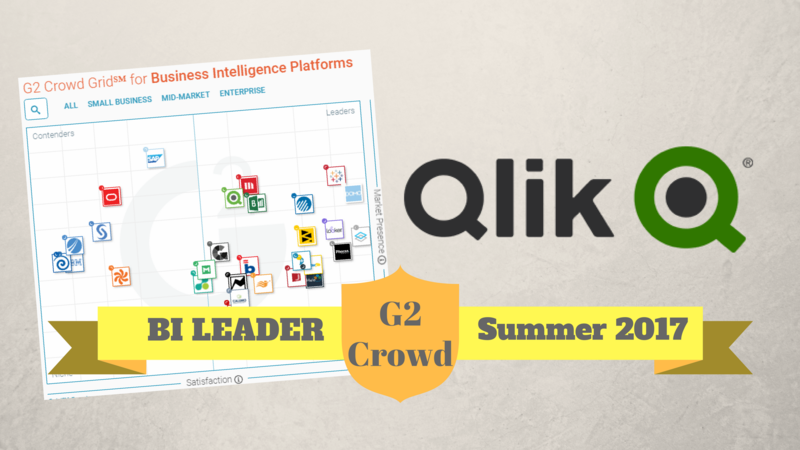 One of Extra Smart's product offerings, QlikView, has been named as a Leader for Business Intelligence platforms in the Summer 2017 rankings of G2 Crowd. 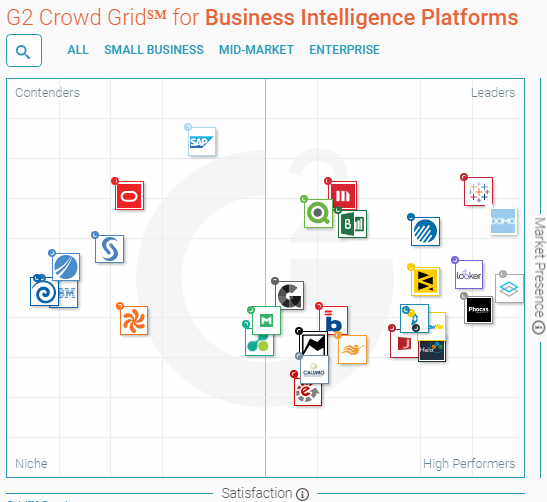 The world's top Business Intelligence platforms have been included in the rankings and were distributed in the G2 Crowd Grid℠ for Business Intelligence Platforms. The grid classified products as Leaders, High Performers, Contenders and Niche. Also included in the same grid is Pentaho, another one of Extra Smart's product offerings alongside QlikView. Pentaho has been named as a Contender. According to G2 Crowd, to be included in the list as a BI platform, products must consume data from any source through file uploads, database querying, and application connectors, provide an architecture to transform data into a useful and relatable model, support data modeling, blending, and discovery processes, create reports and visualizations with business utility and create and deploy internal analytics applications. They should have also received at least 10 reviews. To categorize producs as Leaders, High Performers, Contenders and Niche, they are ranked automatically based on their customer satisfaction rating (based on crowd-sourced reviews) and market presence (based on market share, vendor size, and social impact). This also makes up their G2 Crowd score. Products that have been both highly rated by G2 Crowd reviewers and have substantial market presence are named as Leaders. Aside from QlikView, those named Leaders also include MicroStrategy, Domo, Sisense, Information Builders WebFOCUS, Microsoft Power BI, Tableau Server, InsightSquared, and Looker. Those with significant market presence and resources but have received lower satisfaction ratings or haven't yet garnered enough reviews have been named as Contenders. Pentaho has been included in this category along with IBM Cognos Analytics on Cloud, Oracle BI, Business Objects, SAS Business Intelligence, and TIBCO Spotfire. The strength of Extra Group's Business Intelligence solutions arm, Extra Smart, in providing only the top Business Intelligence solutions has been validated with the release of the latest G2 Crowd rankings where both of its products were included. As a trusted Business Intelligence solutions provider, Extra Smart has been involved with numerous projects for both platforms in an effort to help organizations derive value from their data.